My mom has only one story about robots – and it’s that back in the 50s when she was tiny, kids were promised that in the future, you’d basically all have a robot butler. Alas, mother, the prediction was actually a little off, because you can now pre-order a robot that would kill your robot butler – as it promises to pretty much do anything you need around the house. More than something like Jibo, which is only as big as a puppy, doesn’t have a face and can’t move, Aido is as big as a child and rolls around on a ball, using auto-balance to prevent a faceplant. Aido is voice-activated, feels touch, recognizes familiar faces and objects, and connects with your smart home devices over Wi-Fi or pairs with the kit’s companion smart plugs in order to create the perfect home environment. It also comes with an iOS or Android app that you can use to set things like patrol paths for Aido to complete while you’re out. The head even comes off so you can use it as a tablet. The device is set to ship in October 2016 and is currently overfunding on Indiegogo. It would usually cost more than $1,000 but the company is offering 60 percent off for the brave first group to take the initial plunge. There are also extension packs with additional kit, like a HD projector head. 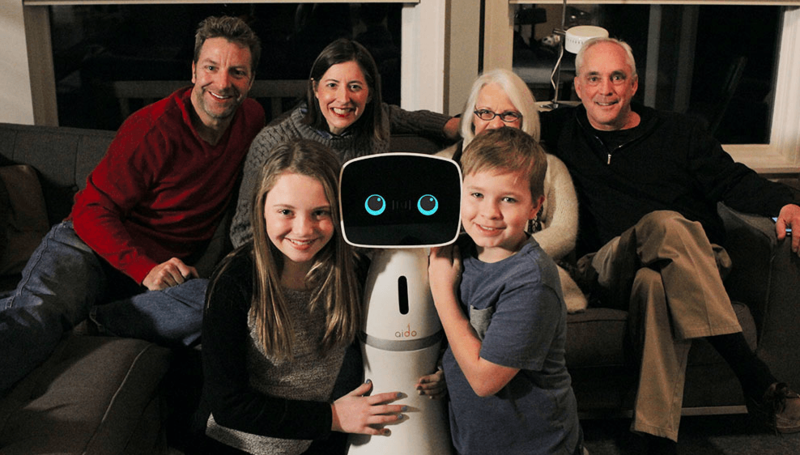 We have reached out to InGen Dynamics, the Palo Alto-based company behind Aido, to find out exactly how it plans on finally bringing my mom’s dream to life and we’ll update when we hear back. I have to say, I’m a little dubious about the kind of specs you can really get for a robot at this price that promises to do pretty much anything you ask. Aido definitely can’t go upstairs or open doors right now, though, so maybe don’t kill your butler just yet.